Summer holidays are on the horizon and the seaside is calling; get a flavour of the sea with this guide to nautical style for your home. From fresh and breezy stripes to rustic linens, the key to this look is keeping it simple and making the most of the natural light. Nautical living dictates a no-nonsense approach to interior decorating; hardwearing materials and sturdy fabrics are essential to withstand sandy feet and dripping seawater. 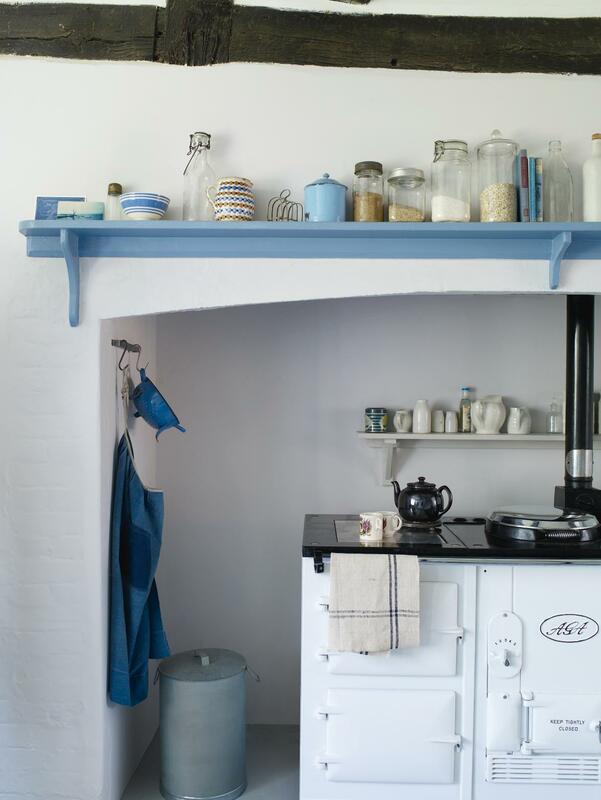 This rustic kitchen has practical seaside living sorted; the whitewashed walls and floor are sturdy and simple and the cheery blue shelf and traditional AGA add character and colour. If you’re lucky enough to live right on the river or by the sea you will know that the light reflecting off the water can lend a magical quality to the light in your home. Emphasise this (or create an illusion of it) by keeping your backdrop bright with lots of white to capture every little bit of sunshine that filters in. 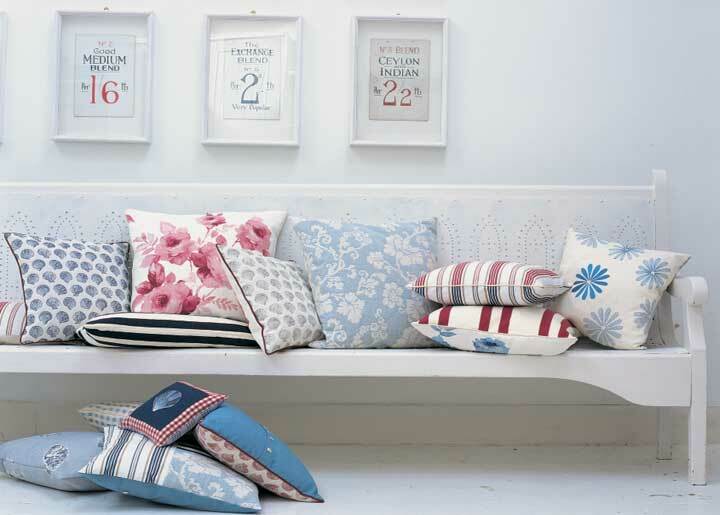 You can then pick cheerful textiles to complement this simple backdrop like these beachcomber fabrics by GP& J Baker. 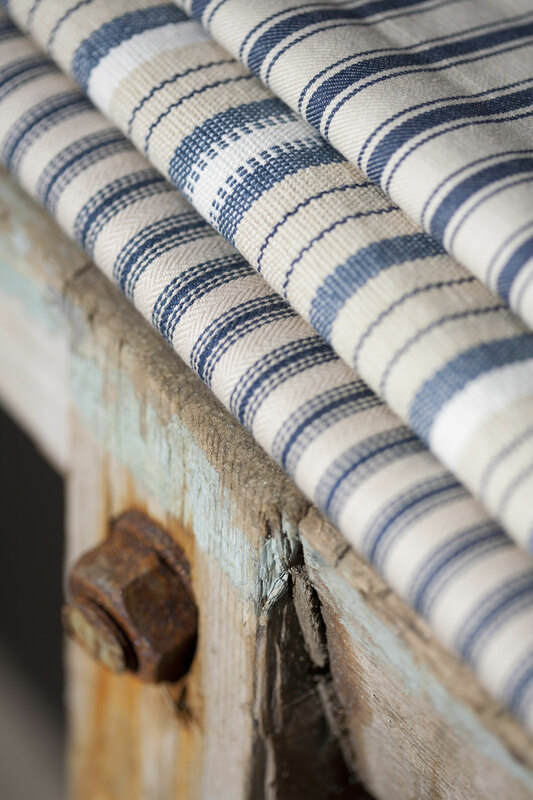 A simple blue striped fabric is a nautical staple and no one does stripes better than Ian Mankin. 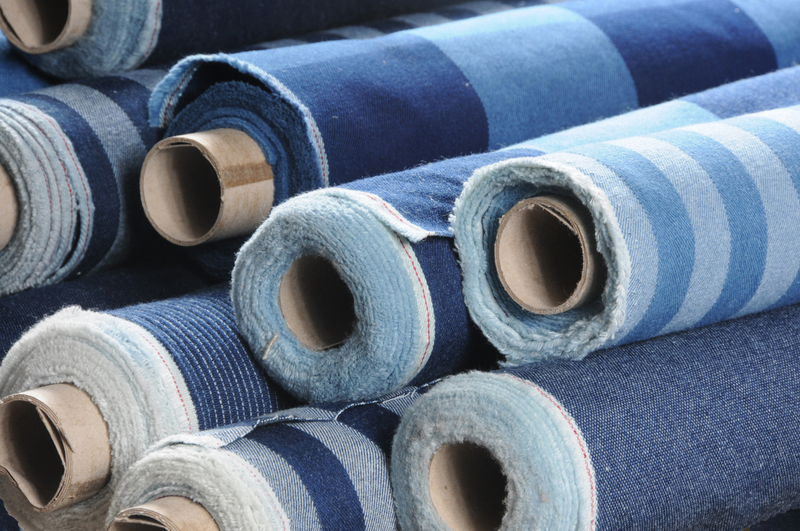 These fabrics from his denim range are hardwearing, practical and fun; use them to upholster chairs, hang as curtains or create sturdy cushions, and they will instantly shout ‘seaside’. 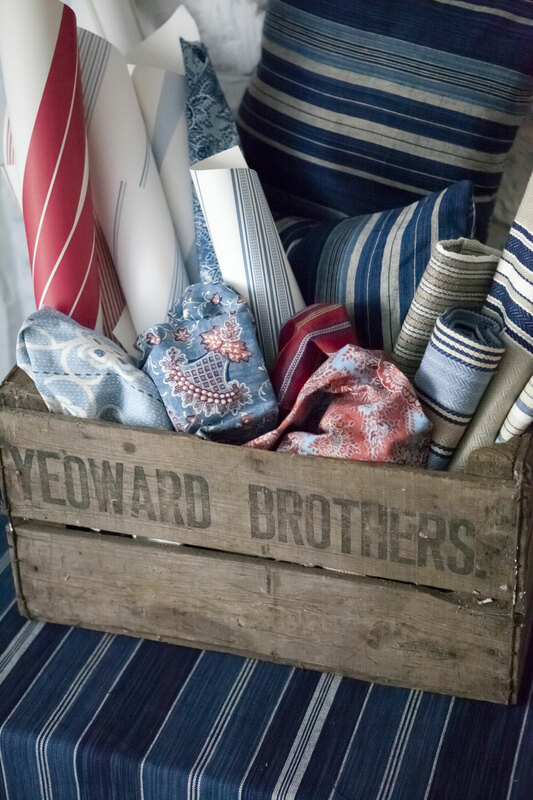 But you don’t have to stick to blue and white for a nautical look. 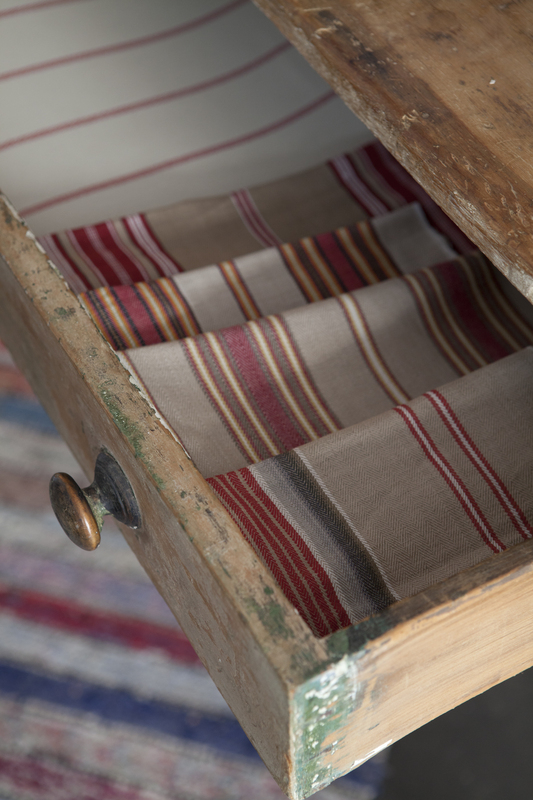 The soft dusty red and yellow stripes of this linen by William Yeoward for Designers Guild have a soft, vintage feel which evokes the weatherbeaten charm of the traditionanal British seaside town and captures the essence of traditional seaside life in a more subtle way. And finally, nothing says summer more than dining alfresco. 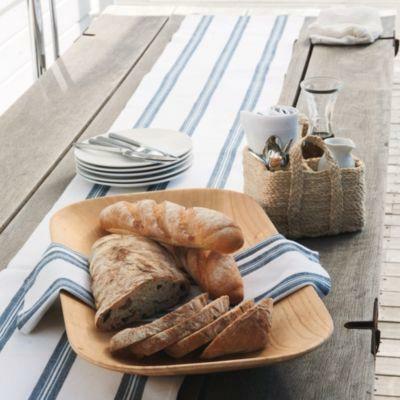 The simplest meals are sometimes the best and a rustic runner in a hardwearing ticking instantly dresses up an outdoor table. Just add freshly baked bread, locally caught fish and a glass of something cool for the perfect seaside lunch. 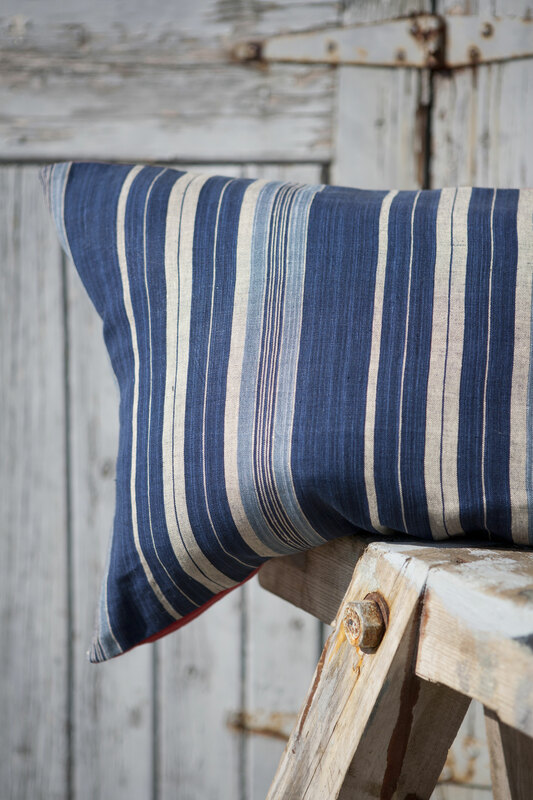 How great are these striped fabrics by William Yeoward for Designers Guild. 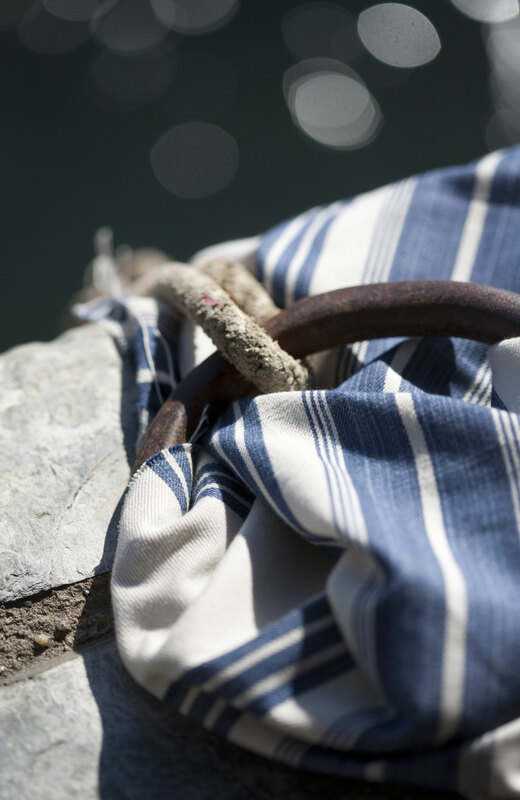 I love nautical stripes all year round but I think they are especially suited to the breezy months of summer and one look at these lovely images has me reaching for my straw hat and deck shoes and dreaming of lazy summer days by the sea. I love the variations on the classic blue and white colour palette. 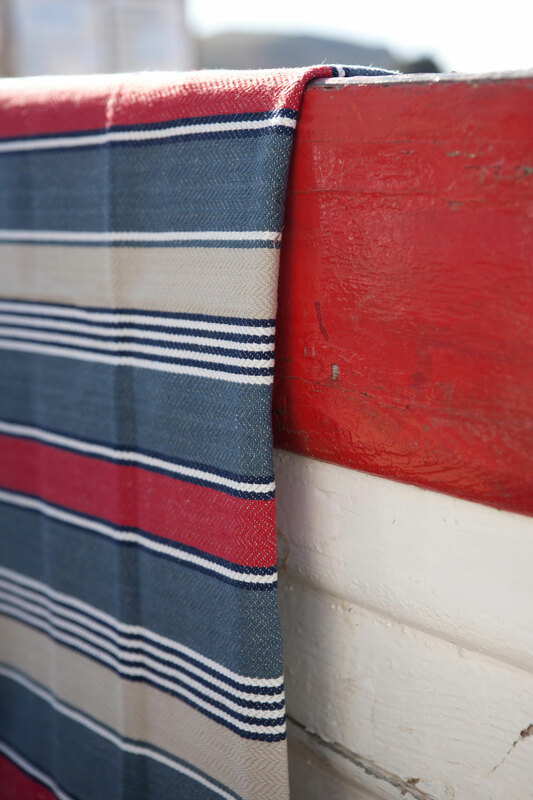 The inclusion of a jaunty red stripe instantly adds cheerful seaside twist to a dark blue and white. And the soft dusty red and yellow stripes above have the perfect amount of faded glamour to evoke relaxed country-style coastal living.